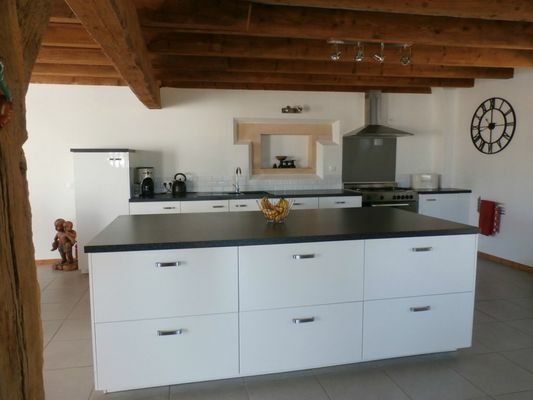 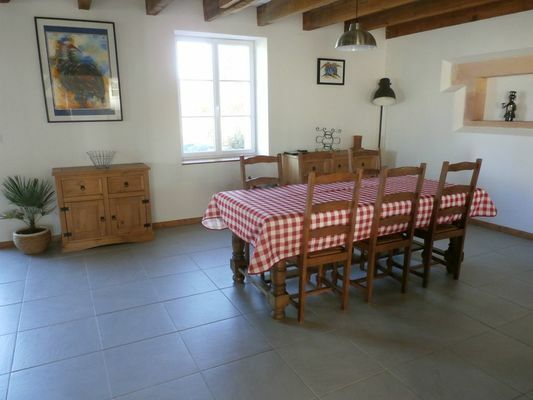 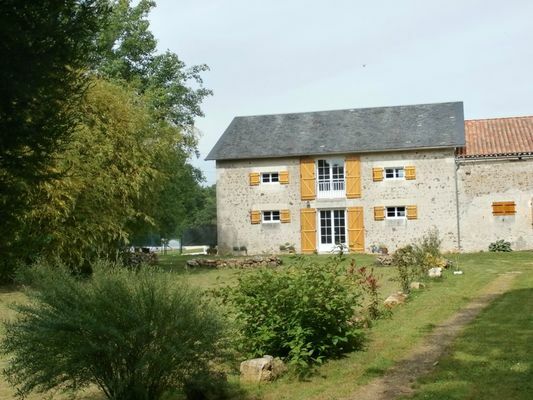 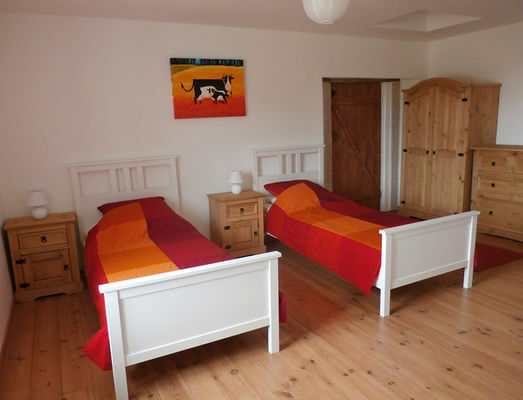 "Le Gîte d'Artige" is a very spacious gîte in the countryside approximately 3 miles from St Savin. 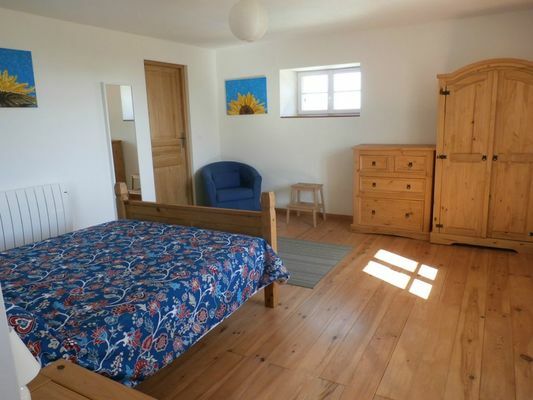 It can accommodate up to 6 people and a baby. 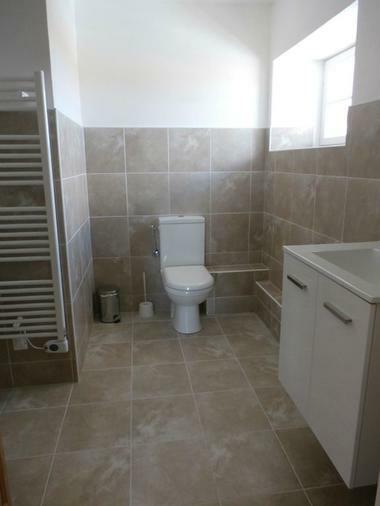 The downstairs area is open-plan. There is a modern fitted kitchen with range cooker, microwave, washing machine, dishwasher and a large central island unit. The dining table seats 6 comfortably and a high chair can be provided upon request. 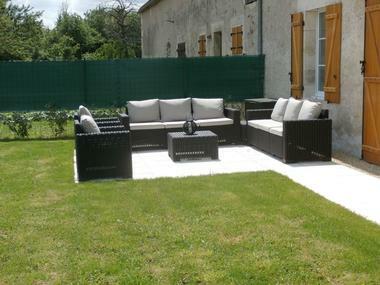 Three large, 3-seater sofas provide a comfortable seating area. There is Freesat (English) television, Wi-Fi, a DVD player and a range of DVDs, as well as a selection of books and board games. 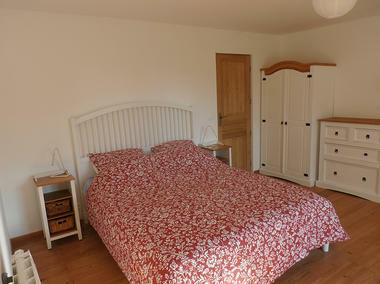 Upstairs there are two double bedrooms and one twin bedroom, to which a cot can be added if required. Each of the bedrooms benefits from its own en-suite, one of which has a bath as well as a shower. 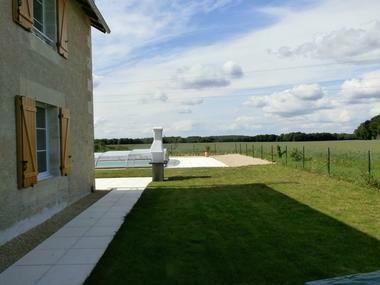 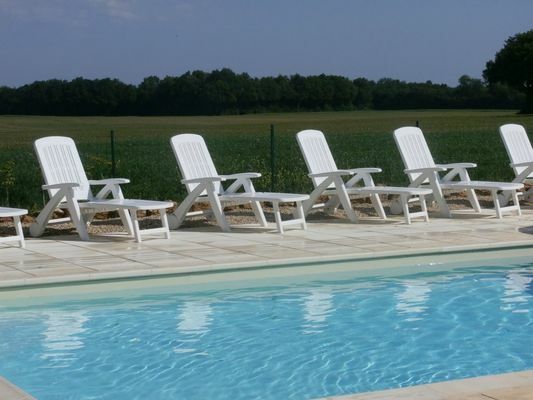 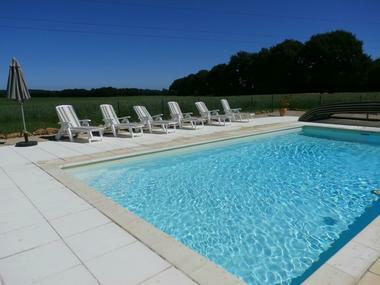 In the enclosed garden adjoining the gîte, there is a 9m x 4.5m solar-heated swimming pool for the exclusive use of guests. 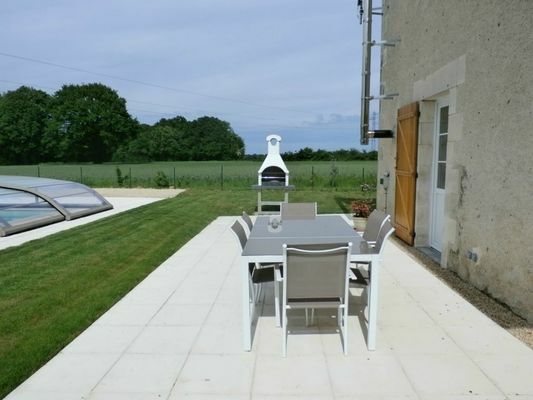 A BBQ and 2 terraces provide ideal areas for relaxing or al fresco dining. 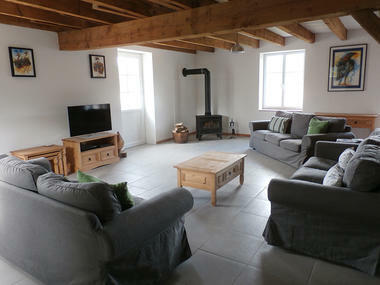 There is no review about Le Gîte D'artige, be the first to leave one !